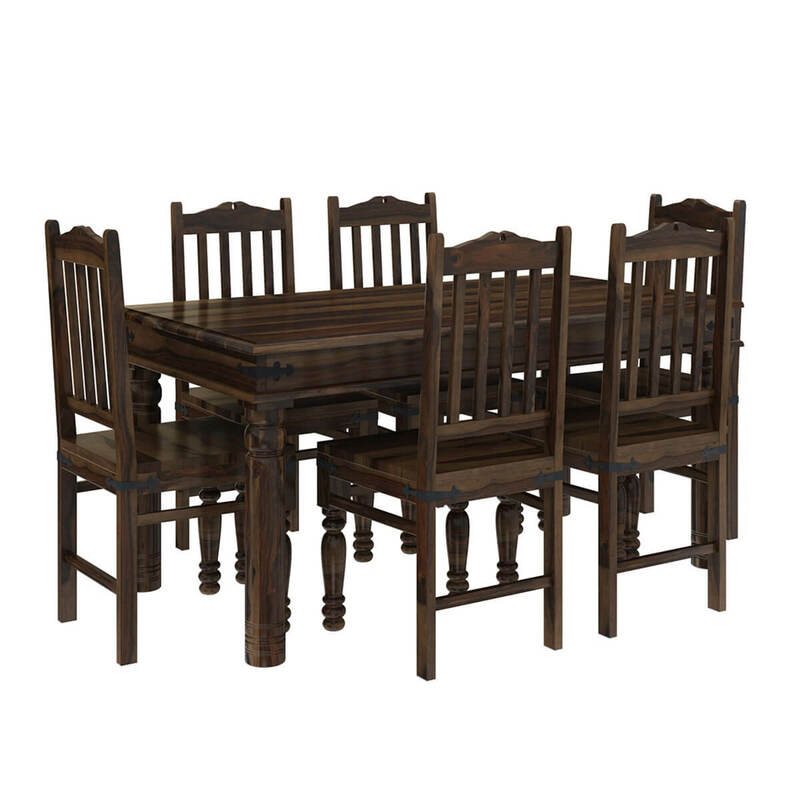 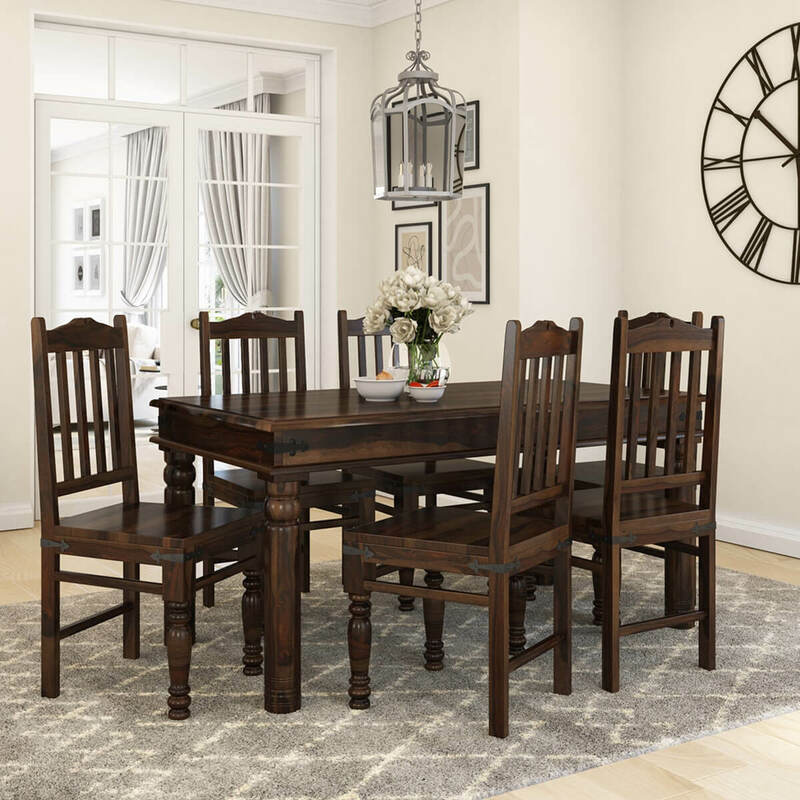 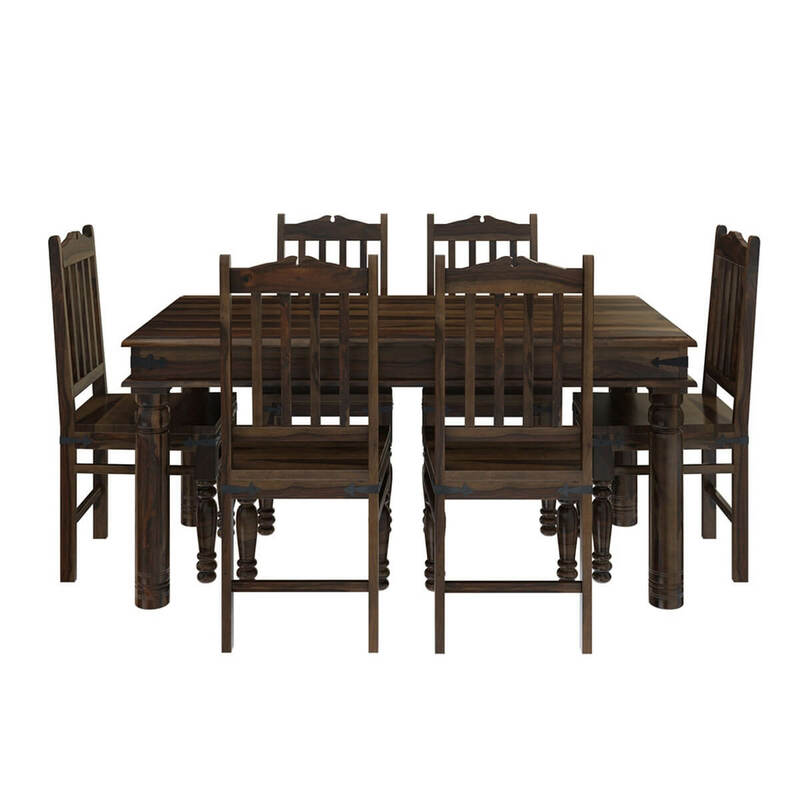 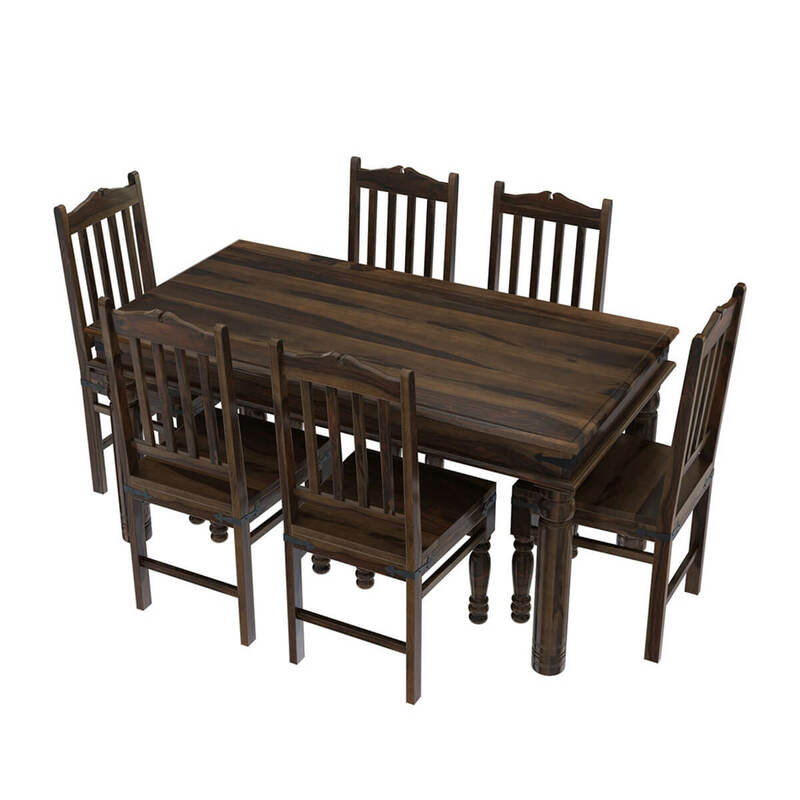 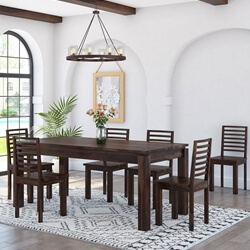 The Oklahoma Farmhouse Traditional 5pc Solid Wood Country Dining Table Set is built by traditional artisans from Indian. 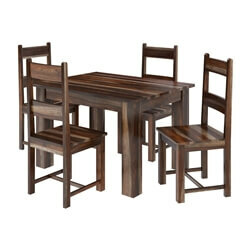 This high quality Solid Wood is popular for its intricate wood grain, strength and durability. 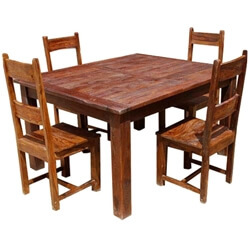 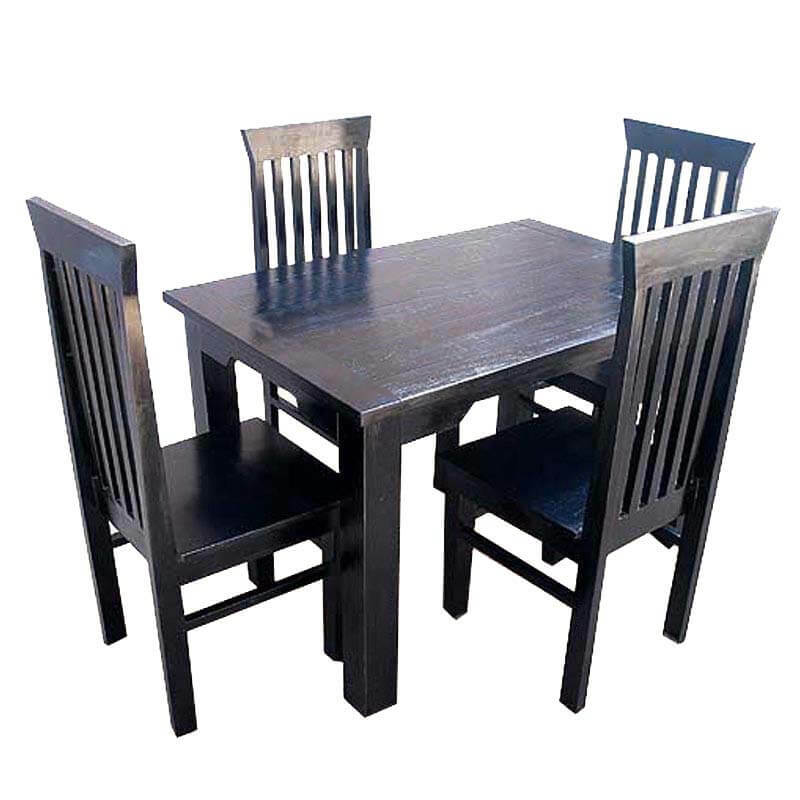 This dining set includes school back chairs and a large table with a country column legs. 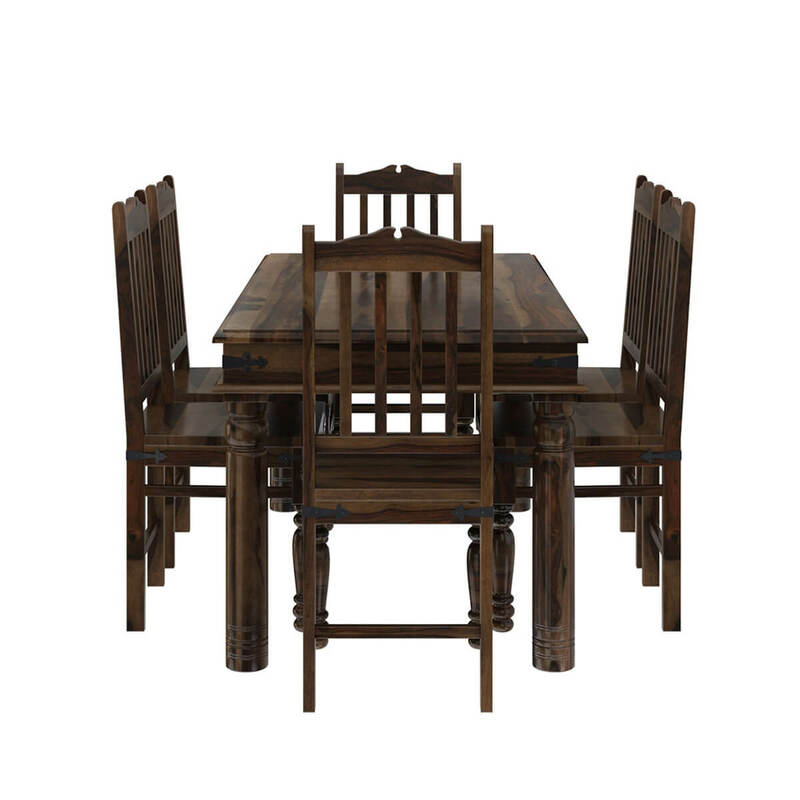 The set has lovely design details such as decorative wrought iron hinges on the table and chairs. 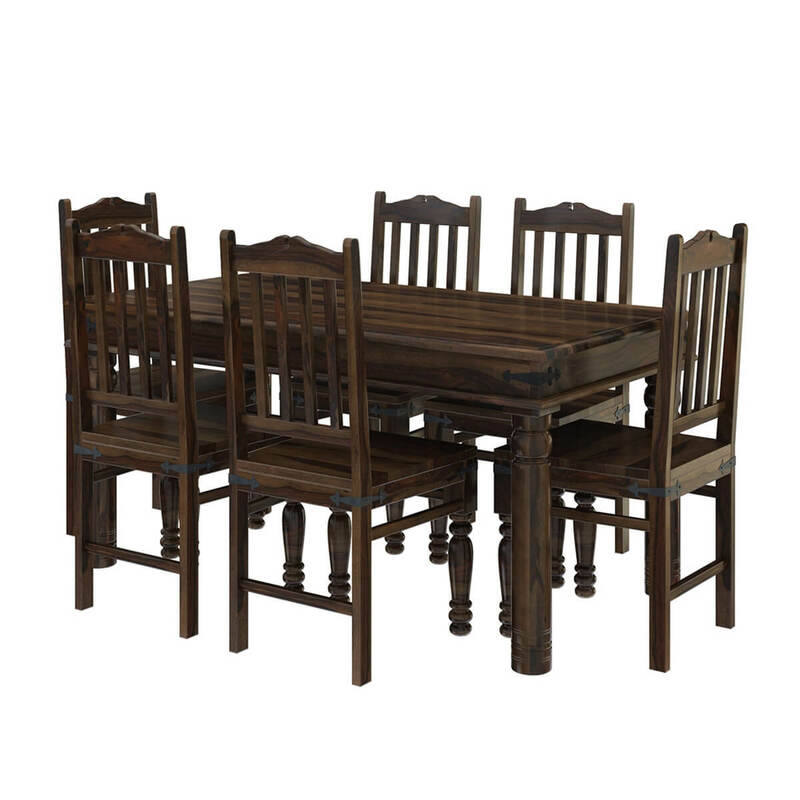 The stain is applied by hand and a special wax and seasoning process creates a beautiful protective surface.